Contact Us Call us today! (360) 667-7000Plumbing Pros that Treat You Like Family!Safe Solutions for Peace of mind. Contact Us Call us today! (360) 667-7000Thinking About Remodeling Your Bathroom? Contact Us Call us today! (360) 667-7000Is Your Kitchen Outdated? A plugged drain will likely be an unfortunate fact of life for most home owners at some point during the ownership of their home or business. 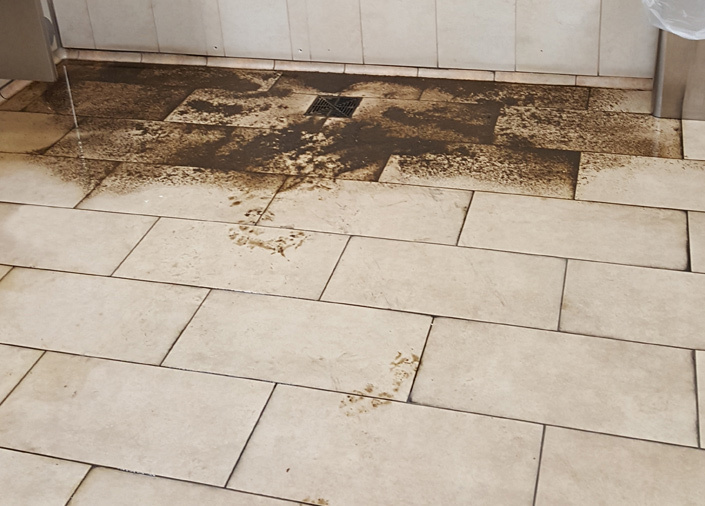 If and when a clog occurs within the plumbing of your property, it would be nice to know that this problem will not occur again, anytime soon. We sympathize; which is why we offer a one-year, clog-free guarantee on jetting and camera. 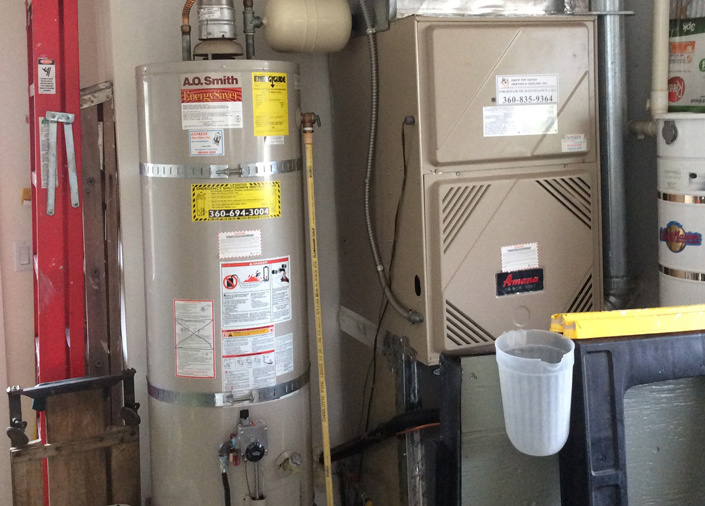 If you own a home, you have a hot water heater. You probably don’t spend a lot of time thinking about your hot water heater, until one day you turn on the shower and the hot water doesn’t work. That’s when Rays Plumbing Services can help. Our professional plumbers and plumbing technicians are reliable, experienced and on call 24 hours a day to respond to your plumbing emergency. 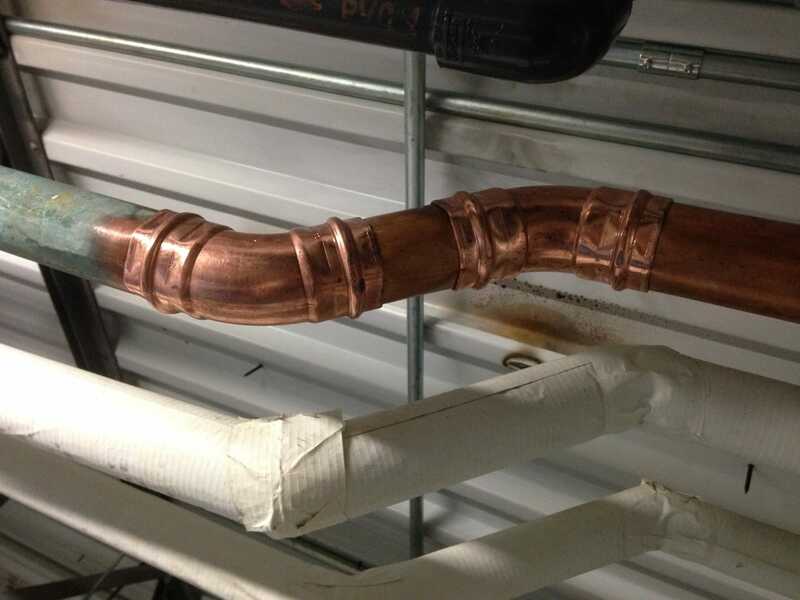 A plumbing emergency demands fast service! We handle all facets of your home or business plumbing. We understand what is involved in a plumbing emergency. Water is the leading cause of property damages throughout the US, and exactly what may seem like a small aggravation one moment can be thousands of dollars worth of trouble the next. We use non-invasive, state of the art technology to accurately locate leaks, saving you water, time and money. 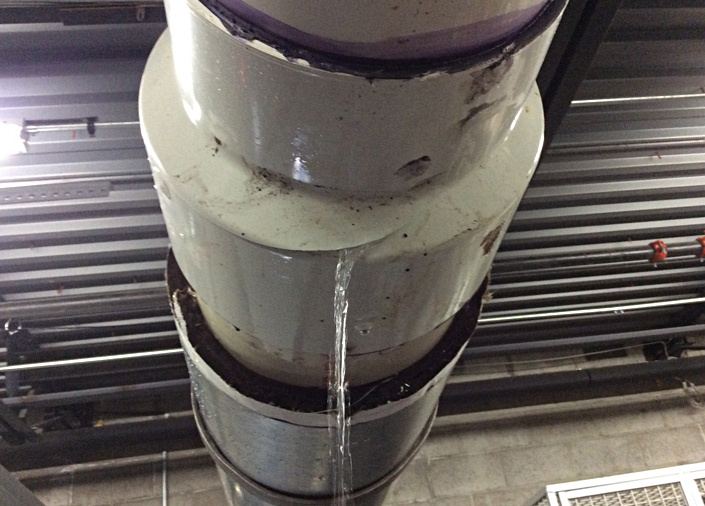 You can avoid unnecessary damage commonly associated with the conventional search and destroy methods utilized to detect leaks. If you are experiencing an unusually high water bill or hear water running, you may have a hidden plumbing leak. 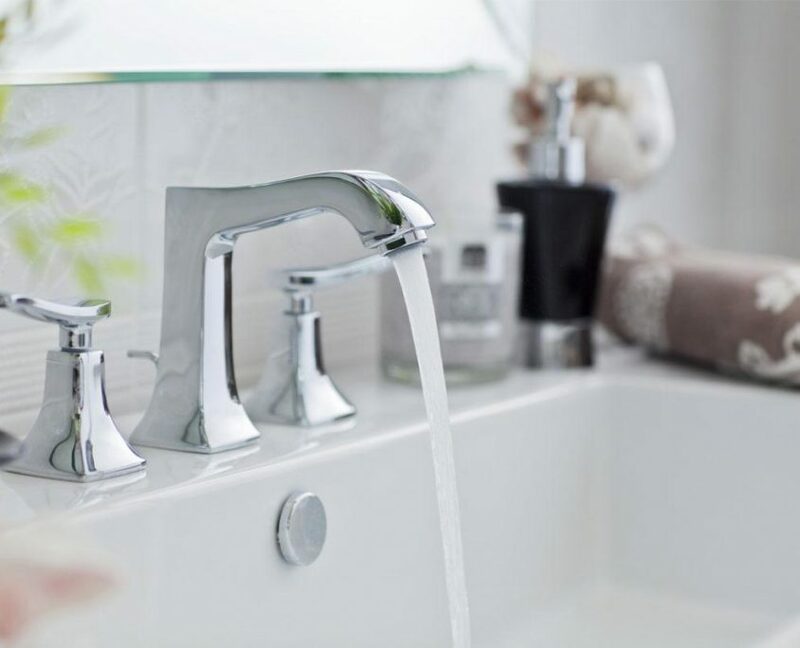 Your plumbing fixtures are some of the most commonly used devices in your home. As a result, they tend to wear out after a while – especially the more fragile components like washers and O-rings. If you need a leaky faucet or shower head repaired or replaced call us and we can inspect your fixture and repair it or if it is more economical we will replace it. A water line leak in your home or business can end up costing thousands of dollars in repairs you didn’t even see coming. And while there’s never a convenient time for your water line system to break, it is always a convenient time to call Ray’s Plumbing Service! We specialize in water line repair and we will fix your water line issue as soon as possible. Quality plumbing service you can count on. Expect fast turnarounds, highest quality solutions, and peace of mind! When you call Rays Plumbing Service, you’ll work with local licensed plumbers who are always punctual and care about your safety and comfort. 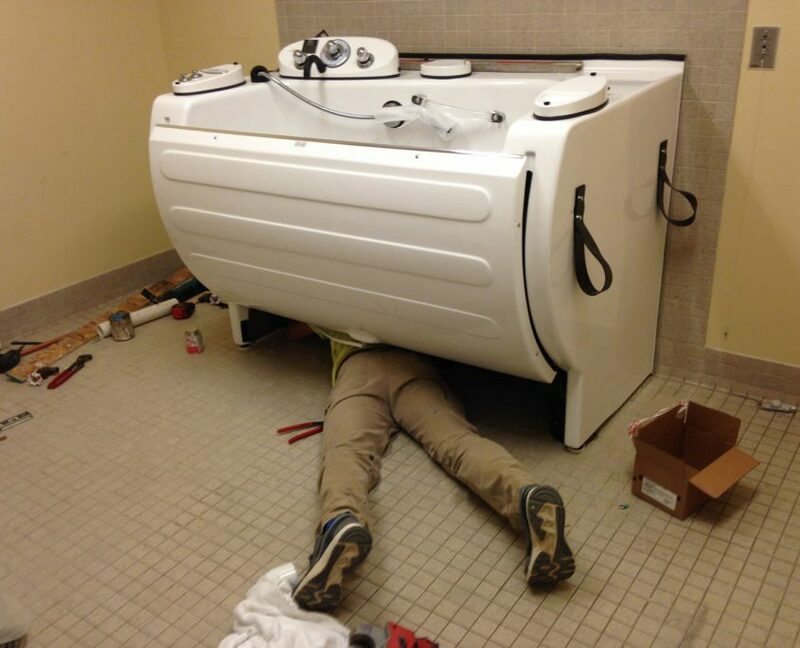 Looking for that plumber who can get the job done and provide the best service in town? You’ve come to the right place! Rays Plumbing Service is your friendly, local plumbing company committed to delivering comfort and peace of mind to all of our customers. Whether you are in need of drain cleaning, emergency plumbing, leak detection, re-piping, or anything in between, you can count on our team for the right solution! Serving residential and commercial customers, we are your one-stop resource for all of your plumbing needs. Worried that you may have unforeseen plumbing issue in the future? Ask about our worry-free plumbing maintenance plans. Doing our job correctly the first time, and having an excellent work ethic is the core of our service. Excellent service. Very polite, friendly and got the job done in no time! I had called two plumbing companies the night before and both were difficult to deal with and promised what they could not deliver. When I finally called Ray on Sunday morning at 7 am he was ready to help out right away! Jim and I can’t thank you enough for your rapid response to our concerns. Your service is top notch. Matt was a pleasure to work with, knowledgeable and professional. We’ll certainly look to you for any plumbing needs in the future and won’t hesitate to highly recommend your company to friends and family. Great service and we will use them for all our plumbing needs. Thank you Lee for a job well done. Very professional and prompt service. Had a water leak issue on a Sunday. Came out in just a few hours and capped it. Fixed it the rest of the way the next day. Very good company! No hesitations recommending them.